I have often believed that some of the most interesting stories can come not from the rich and famous but from those people in our families past. I have the tale of my Great Great Aunt who after burying her husband returned to his grave sometime later to discover his mistress had been buried with him. We all have those family stories don’t we? Kate Grenville has many such a tale in her family, however it is the story of her mother Nance Russell that she has focused on (though we also get some other family tales) who, as we come to learn reading One Life, was a remarkable woman in many ways who lived through some of Australia’s most interesting historical times, yet to those who met her may have simply appeared to be a suburban housewife. Kate Grenville’s tale of her mother Nance starts from the first memory that Nance had of crying loudly and too much as she was put under her father’s arm. We start from the very beginning, and technically a little before her birth thanks to Grenville’s preface, as we join Nance at her home of Rothsay with her mother Dolly, her father Albert and her brothers Frank and Max. Yet this is not going to be home for long, and indeed this becomes a theme in Nance’s childhood, as soon the family up sticks and move, again and again and again, sometimes with her parents or a parent or sometimes shipped off to a relative or friend. 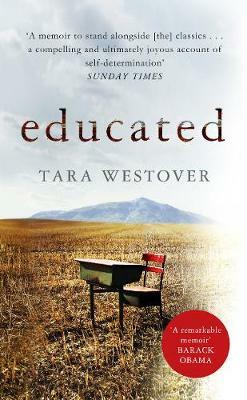 With the backdrop of the Australian Depression of the 1930’s we follow Nance’s childhood as she makes her way through school and soon come to see that Nance is going to become a woman of firsts as she studies pharmacy, graduates and becomes a pharmacist something quite unheard of at the time. And this is before she even falls in love or meets her husband and her life takes on multiple trajectories as she takes on multiple roles as lover, wife, mother and career woman. I don’t want to say too much more because part of discovering where Nance’s life goes is part of the charm of One Life, though it charmed me in plenty of ways. It is very hard as you read One Life to remember that this is all based on fact, and indeed Kate had the help of many conversations with her mother before she died and the memoirs Nance had started. This is in part because of the way Nance’s life developed from that childhood I mentioned and onto being a successful career woman and quite amazing wife and mother at home. It is also because Nance is such a wonderful character; you can really imagine having a good laugh with her over a cup of tea. Yet whilst Grenville injects all the love and respect she had for Nance into her writing of her, we aren’t given a saint. As we discover Nance had flaws and some naughtier shenanigans in her life, we are given the portrait of a woman whole. I adored her and the way Grenville wrote about her from every angle. Another thing that makes you forget that it is real is the backdrop that Nance’s life had in terms of Australia’s history, and Australia very much feels like a character in the book all of its own as we travel around it and see it go through bad times and good. We have the big events like the Depression and of course the World Wars, the latter which initially seems like a distant issue until her brother Frank enrols and ends up in a prisoner of war camp, which of course took me right back to Richard Flanagan’s very much fictional but all too real The Narrow Road To The Deep North. So you have these massive things happening in the background affecting Nance’s life. Nance has seen the little man with the moustache on the newsreels, standing at his stone pulpit, his arm pumping up and down, haranguing great crowds that seemed like machines, line after line of people in the same uniforms thrusting their arms in the air. But it was on the other side of the world and in another language. It was serious but not personal. It was Britain’s war. The man with the moustache was frightening but he was also a bit ridiculous. You also have the smaller yet equally significant domestic changes. We go through era’s where women are allowed to study and even graduate, we follow the sexual freedom and liberation that came from contraception, we watch as women could work and even set up by themselves breaking the shackles of society. We also learn how man, and some older generations of women (Nance’s mother Dolly is utterly fascinating) reacted to that both in good and bad ways. These small domestic shifts I found as interesting, if not more, than the big parts of history as I knew much less about them. Leaving the doctors with the little beige box in her handbag, Nance thought, mine is the first generation of women, in the history of the world, to have any choice about children. All those millions of women who were nothing but baby-machines. So many of them must have been like me, wanting it both ways. Children, of course, but a life of their own too. Grenville’s writing is wonderful; if you have read any of her novels you will know this already. Nance and her family come to life and walk off the pages. She celebrates the ordinary and the stories of the everyday. She builds the world of Australia through those times fully without hitting us over the head with research and yet highlighting important events big and small. What she also does which I think is very clever is that she highlights the plight of women at the start of the 1900’s, the struggle for change and how changes as it comes affects everyone, without ever taking a moral high ground or bashing men of the time for the society that they were also born into through no fault of their own. I mean if they behave badly then they are fair game, but not all of them did, a lot but not all. There is just great warmth, generosity and passion with this book that is really hard to try and encompass in words. No book Nance had ever read described burned dinners or messed children. None had even mentioned trivial domestic details, let alone been exact about them. The night Ken brought the new novel home for her she burned their own dinner, reading in the kitchen, so engrossed that she didn’t smell the potatoes until they were almost alight. At Mrs Lippincote’s was about the world she knew: the invisible armies of disregarded mothers and housewives. Elizabeth Taylor proved what Nance had always known, that the quiet domestic dramas of women’s lives might be invisible to men, but they mattered just as much. I have chosen that final quote as I think (without having read At Mrs Lippincote’s, which I now desperately want to) that Kate Grenville does something in One Life which Elizabeth Taylor was trying to do with her writing. Not only does she write about some of the forgotten voices and the underdogs in society, she also writes about the domestic and the working class and celebrates them. In giving us the voice of her mother, Nance Russell, she gives voice to a generation of women who are often left unheard and yet who once known about should be the role model’s we should be championing to future generations. I cannot recommend you discovering Nance Russell’s story enough. If you would like to hear Kate Grenville talking about One Life, you can hear her chatting to me on the latest episode of You Wrote the Book – which is back! This sounds fantastic – a sort of social history of Australia, written around her mother’s life. 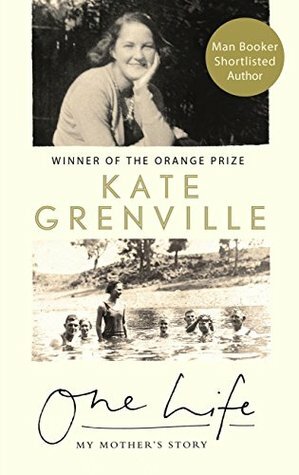 I haven’t read Kate Grenville; I know I should have. I think this sounds like a really appealing book so I’ll start here, although I’ll probably wait for the paperback. Or order it from the library! Great review Simon. I think you should *definitely* read Elizabeth Taylor, Simon – her books are superb!